Press the D key to dash. 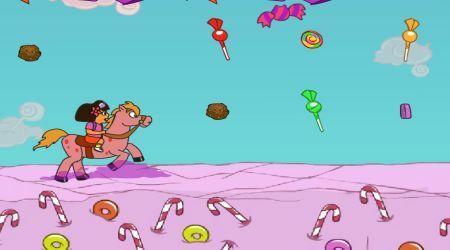 Collect candies to earn money. You can use the money you have earned to unlock and customize Dora and her unicorn.